This sound sensor includes a highly sensitive microphone for audio input. 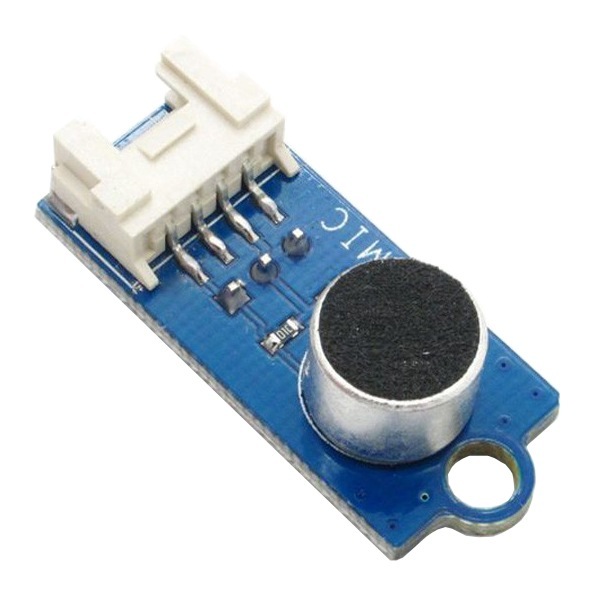 Use this module to detect or record sound by simply reading the analog output from the microphone. 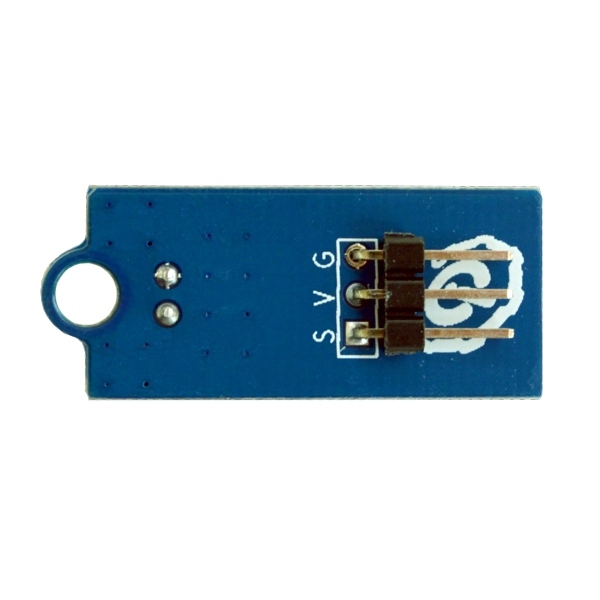 Connect the Voltage (V) and Ground (G) pins to a 5V power supply and read the analog signal from the output Single (S) pin.